We love being unintentionally trendy. So Tara recently had her wisdom teeth out which means she couldn’t really chew. Now, as wonderful as an Ice Cream – Mashed Potato – Custard – Soup Diet is, at some point you’ve got to work in a fruit or vegetable if only to stave off the Grumpy Sugar Lows! So, much like a couple of old ladies without all their teeth, we started blending our fruit and vegetables with milk/coconut water and drinking these smoothies in lieu of lunch. The concoctions we came up with were exciting, incredibly filling and we felt much lighter as a result. Also, what better way to welcome the soaring temperatures (yes, really!) here in sunny London with a cool beverage packed with nutrition. 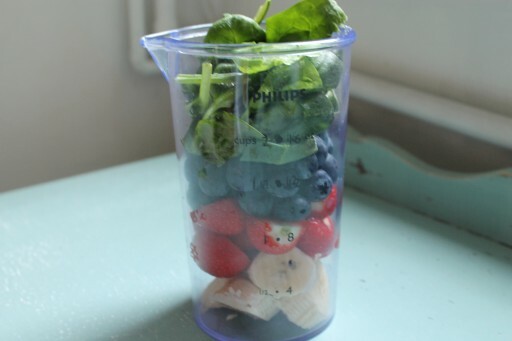 Blend all ingredients together using blender until smooth (we used a hand held one for easy cleaning). Pour into a glass, add a thick straw (possibly a cocktail umbrella) and enjoy! 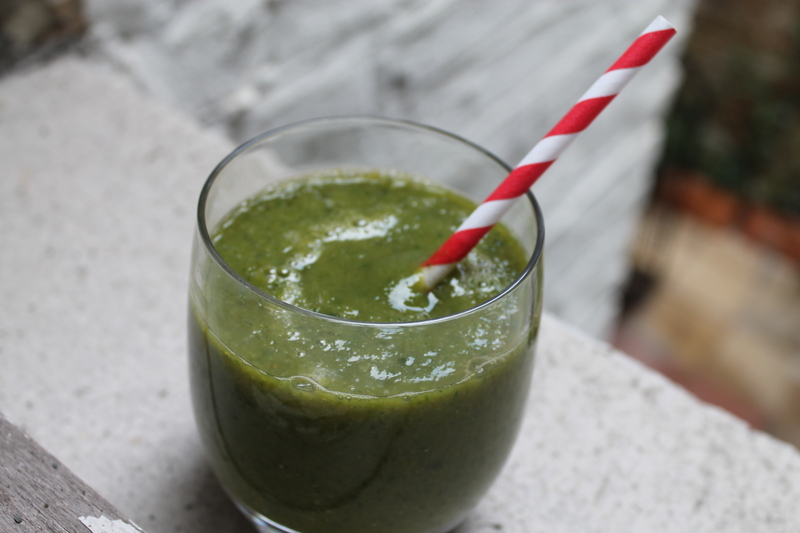 Pour into a glass, add a thick straw and feel virtuous (and full)! Blend all ingredients together, except the hot sauce using blender until relatively smooth. Stir in the hot sauce. 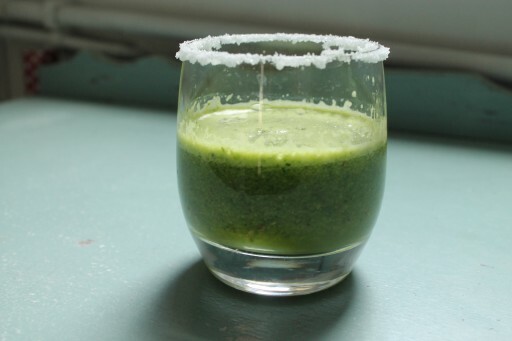 Pour into a glass rimmed with salt and sip languidly. I didn’t know an immersion blender could deal with the harder fruits like apple! Very cool, I will have to try it out soon!